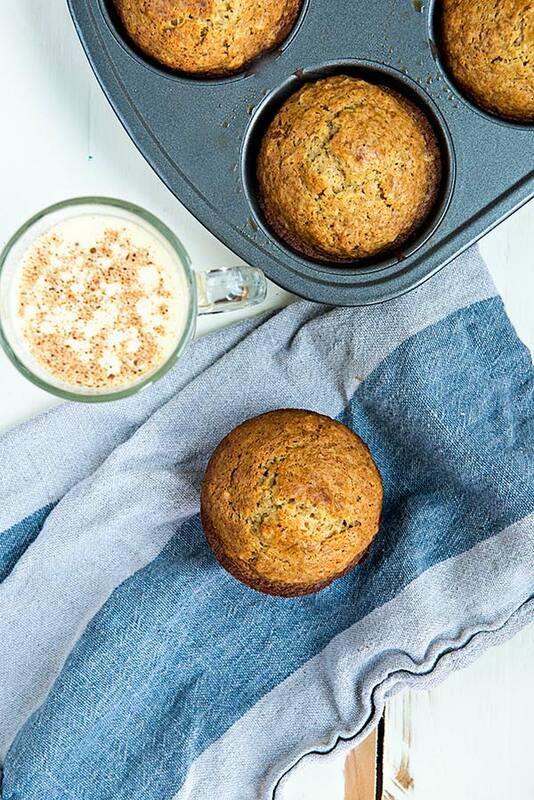 These simple Oatmeal Eggnog Muffins are sure to get you in a festive mood! It’s that time of year again. You know, where I buy a carton of eggnog because I really think I love it. Then I have my first official glass of the season, feel immediately ill from how rich it is, and end up with an entire carton of eggnog in my fridge I don’t know what to do with. I love the flavor of eggnog, and maybe a small sip should be my limit, but I’ll continue to buy eggnog year after year. I love having the leftovers to use in eggnog desserts and baked goods. 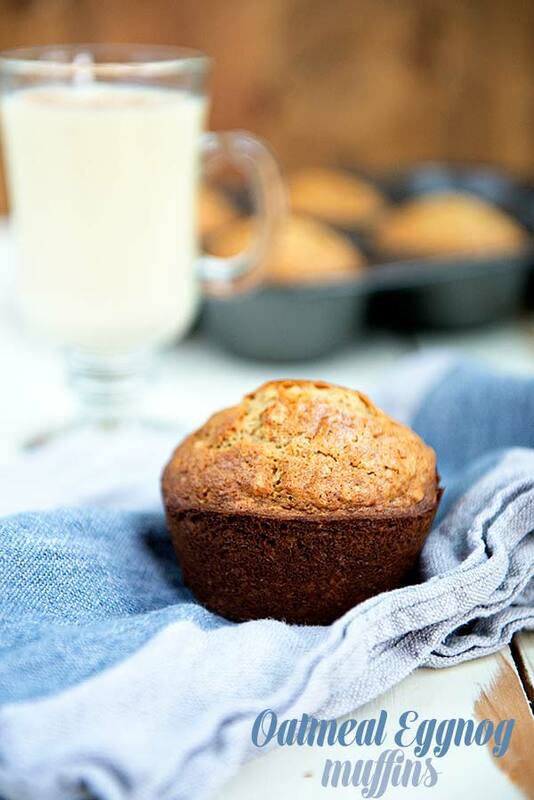 This season, my leftover eggnog got the muffin treatment with these simple oatmeal eggnog muffins. Oh so good! 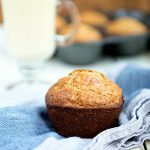 Now these Oatmeal Eggnog Muffins don’t really have a strong eggnog flavor…they are more vanilla than anything, however the richness of the eggnog makes them so moist and good, it’s definitely a must try recipe for your leftover eggnog. But, if you wanted to go all out with the eggnog, try this eggnog glaze over the muffins. When you try this eggnog muffins recipe, make sure to use full fat eggnog (I prefer this brand). None of that skinny eggnog business that we see on shelves these days. That won’t do. 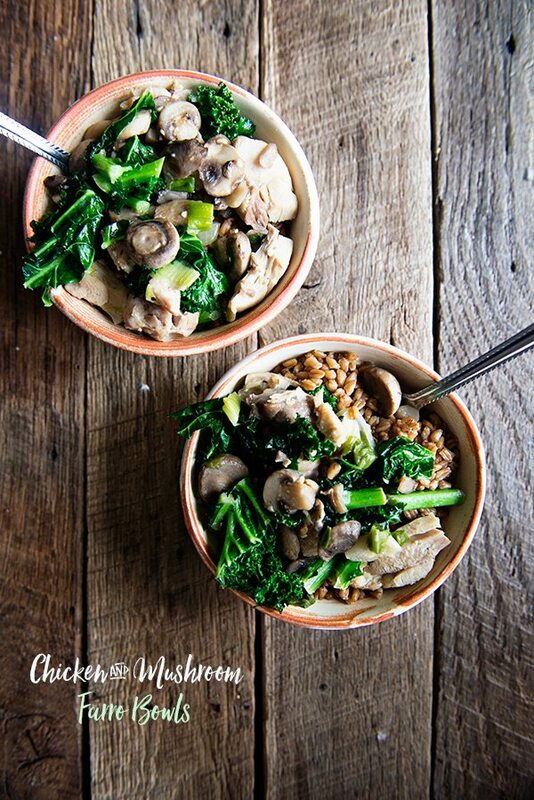 You’ve gotta have the fat to make this recipe really shine! If oatmeal eggnog muffins aren’t your thing, I happen to have years of eggnog baked goods recipes on my site, because every year it’s the same story repeated. You can find more eggnog recipes here. Enjoy! 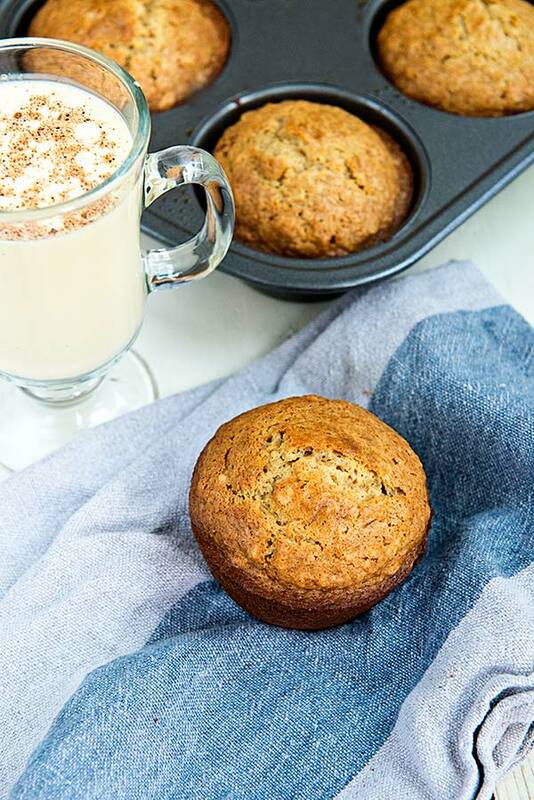 These oatmeal eggnog muffins are sure to get you in a festive mood. These are an awesome use for leftover eggnog. n a bowl, soak quick cooking oats in eggnog for 10 minutes. Stir in egg, sugar and applesauce. Combine flour, baking powder, baking soda, salt and nutmeg; stir into oat mixture just until moistened. Fill greased or paper-lined muffin cups three-fourths full. Bake at 400° for 16-18 minutes or until muffins test done. Cool in pan 5 minutes before removing to a wire rack. For jumbo muffins, cook at the same temperature for 20 minutes until muffins test done. Makes 10-12 regular sized muffins or 6 jumbo muffins. Haha! I am exactly the same way with eggnog!! Love it as an ingredient but on its own, not so much. Sounds like the perfect thing to wake up to on Christmas morning. Can’t wait to try them! Sounds like the perfect thing Can’t wait to try them!